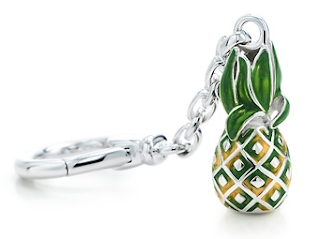 According to Tiffany's site, the pineapple symbolizes friendship and hospitality- did you know this? I didn't, but I am loving this fruit as the subject for summery, fun accessories. 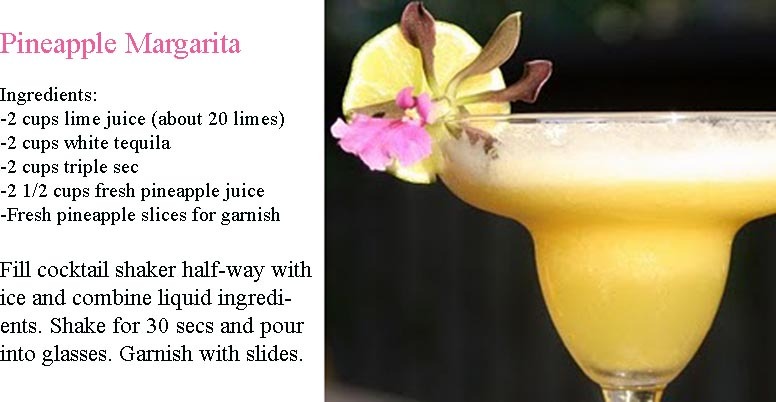 Since it's Cinco de Mayo, why not make a pineapple margarita? Yepp, I love it too! great post! I'll take everything! I need that tee shirt and marg! great post. 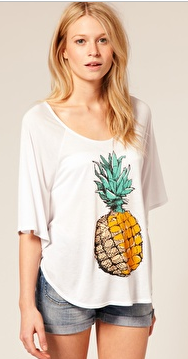 i never had a thing for 'pinapples' - but cute stuff! I didn't know about friendship and hospitality, but I *DO* know that I want that clutch! I Love the Kate Spade clutch!! Love the clutch, and the scarf, very cute! Looks so summery! That pineapple margarita looks to die for and so refreshing! That Kate Spade bag is so cute! 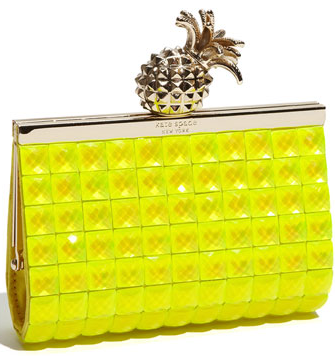 The Kate Spade clutch is too CUTE! I can just taste the pineapple! I adore that clutch, great inspiration. I love pineapple and I LOVE your bloggy face lift! 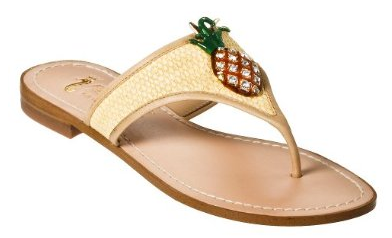 mmmm nothing like some zingy sweet pineapple to beat the heat! i love that yellow clutch...its so much fun!! I am absolutely loving the pineapple inspiration. 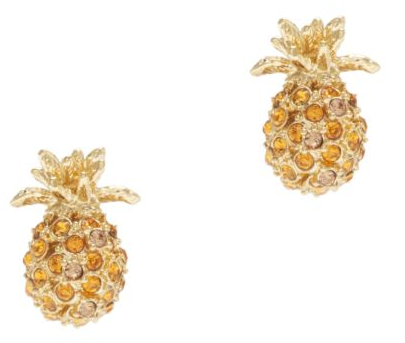 I actually just bought some pineapple earrings, and a pineapple to set on a bed when guest have over stayed their welcome lol.